Autonomous Vehicles are the talk of the town these days with most major companies working on self-driving cars. However, while autonomous driving tech might be getting better, there are situations that still confuse the legion of cameras and sensors in autonomous vehicles. After reports of a self-driving Uber being involved in a fatal accident earlier this week, resulting in the death of a 49-year old woman in Arizona, most US companies have decided to stop testing self-driving cars on public roads. While that is definitely a step in the right direction till the time autonomous cars become better, a Mountain View start-up aims to handle these situations differently. 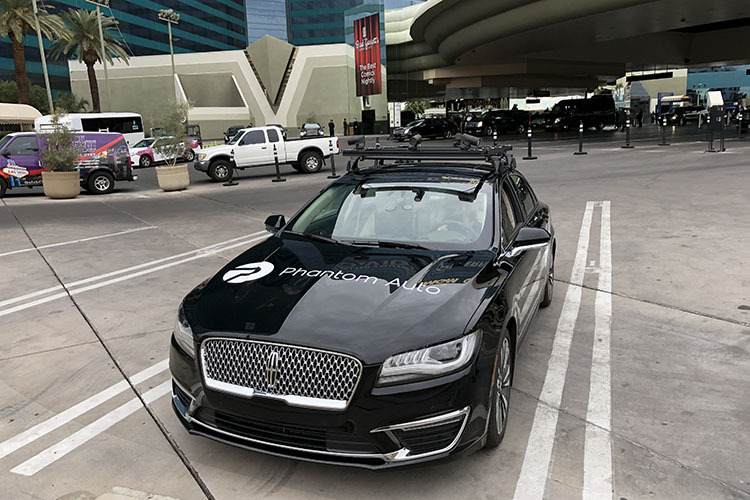 Phantom Auto is a small start-up based out of a nondescript office in California, where the company performs most of its research and development. This office also houses their remote-drivers — people trained at remotely controlling autonomous vehicles in situations where the self-driving tech fails. One could argue that situations, where self-driving tech fails, are far and few in between, however, handling those edge-cases is required, either programmatically, or by humans. Phantom Auto chose the latter option. Basically, a remote-driver will be able to access all the camera data from the autonomous-vehicle they’re handling and will be able to remotely control the car — steer, brake, reverse — the complete package. According to the start-up, there is no visible lag between the operator making an action, and the car mirroring it in the real world, everything happens in real-time — something that is very important when it comes to driving. A lag of even a few milliseconds could cause major accidents on the road. Phantom Auto’s vision is of a world with numerous call-centers handling gigantic fleets of self-driving cars.